I was fortunate to receive an advance copy of Final Season, the story of Pat Summitt’s 38th and final year as the University of Tennessee Lady Vols coach in 2012. 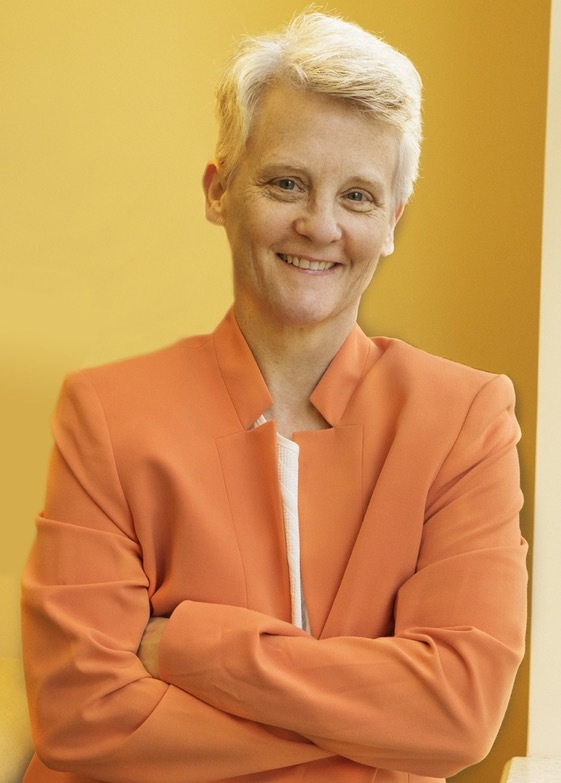 After reading it (in just a couple of sittings), I interviewed the author, Maria Cornelius, who has covered the Lady Vols since 1998 and written for Inside Tennessee since 2004. To say that Maria has had a front-row seat through the best of times and the worst of times in Lady Vols history is an understatement. She brings the perspective of a seasoned journalist and a long-time observer to this incredibly detailed, heartfelt account. The following is an edited transcript of our interview. It started with Sally Jenkins. Sally is a friend of mine, and she sent me a copy of Sum it Up (the book she co-authored with Pat Summitt after Summitt revealed her Alzheimer’s diagnosis) and asked me if I would review it for my column. 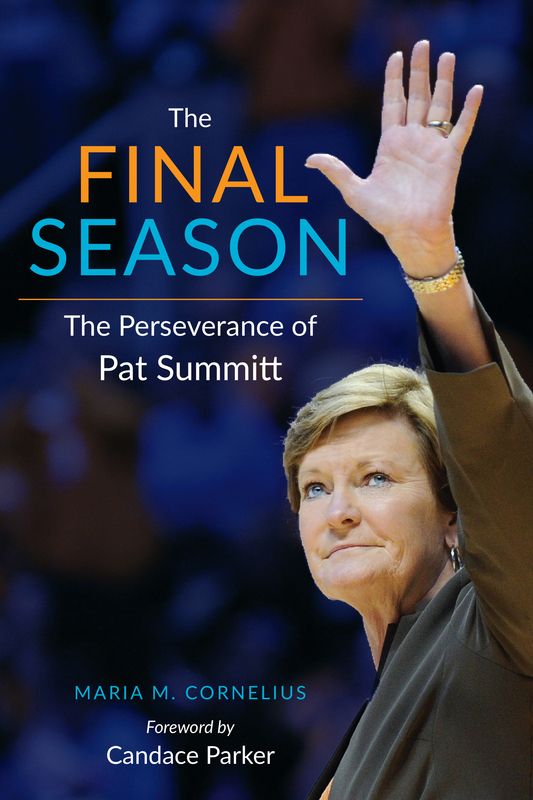 It was the definitive book on Pat, but I noted that Pat’s final season (2011-2102) was just one chapter because the book was published in March 2013 and had to get into production quickly. Sally read my review and sent me a text message. She said, ‘You’re right. I wasn’t there. You were there. You write it.’… It wasn’t a thought until she sent me the text message. Pat Summitt touched so many lives. Once you chose a publisher and signed a contract, how did you decide whom to interview? I signed the contract in early Oct. 2013. We decided it would be best to interview the (current) coaches and players when the season ended. So I started reaching out to former players. Angie Bjorkland (a 2011 grad) was one of the first. She was on the transition team and saw Pat at her finest in 2008 and then was there for the earliest indications of the decline. She saw Pat when the slippage was beginning to show. Even Angie said I would never have dreamed that it was as serious as it was. It was apparent that some things were just off with Pat. What were you hoping to accomplish through your efforts? Was it hard to balance the day to day chronology, which you capture in great detail, with the larger issues you were trying to explore? It’s unprecedented in sports to announce you have dementia and then stay on the sidelines. (Pat) grew to be the public face of a disease. And I wanted basically a permanent record of how that season went, so there’s a lot of game coverage, a lot of fresh interviews. It serves the purpose for the Lady Vols fan who wants to relive that season and for somebody who may not want to know (all the details) but wants to know how that team dealt with such a devastating disease. I have so much respect for that team even though they ran into the juggernaut known as Baylor that year. That team persevered through what 18-22 year-olds are not usually asked to persevere through outside of combat. They hung in there through tremendous bad news, through wanting to fight for Pat. I hope the book captures how much that team meant to Pat and how much they fought for Pat. After finding out in 2014 that your own mother has Alzheimer’s, how difficult, personally, was it to continue to write? It became more personal for me. I specified that a portion of every sale go to the Pat Summitt Foundation. We’ve got to find a cure for this. It’s crushing families. Pat Summitt being taken from us at the age of 64 is crushing. She should still be coaching. What were the hardest things about writing the book? The interviews were tough. The toughest part was the emotion. They all cried. They are so used to interviews and they would be doing great, but you’d get them talking about Pat and the anguish in their voices was tough to hear. This was two years before she died. It was raw still for them, jolting to their lives, and it was tough to listen to them. A lot of the interviews were over the phone because they were all over the country. Some were playing overseas …. After Pat died (on June 28), I had to pull the manuscript back. We were revising it in July, which is unheard of. We wanted a tribute page. One of the hardest things I had to do was change the verbs to past tense. Although she did turn many duties over to her assistants during that season, you also recount many examples of how Pat was still very much in control during her last season. I’m wondering if you think she could have coached another year? I’ve been asked that quite a bit and I could actually argue that both ways. She definitely was in decline. The assistants were doing much more. But that press conference she held right before the team left for Chicago (the opening round of the NCAA tournament), after she had been told (by the athletic director) that this would be her last season, that was feisty Pat. That gleam in her eye was back. As I said in the book: she deserved to go out on her own terms. As I said, I don’t know why that decision couldn’t have waited until the end of the season: let’s let Pat talk to her family, talk to the administration. I understand why the decision would have come to that point, but I think Pat could have been treated much better. Why do you think the decision was made before the season ended? It was odd because the narrative the whole time had been: let’s talk about it at the end of the season. Let’s let the players focus on the day to day. I think if that decision was going to be made they should have talked to the players and that clearly didn’t happen. I do not necessarily think it was the wrong decision for Pat to step down, but I do not think it was handled well, and that was upsetting because Pat deserved better than that. You mention in the book the scandal surrounding Tyler’s (Pat’s son’s) short-lived tenure as a Division I coach. Why did you include his story? Tyler’s coaching career was announced at the very same press conference as his mother’s retirement. So now the news is conjoined. When what happened at Marquette and Louisiana Tech came to light, I couldn’t pretend it didn’t happen. It became an author credibility issue. Had he never been in the book, it may not have been an issue. He was a big part of that last season. He’s a wonderful young man. Too much too soon was given to him. Too much too soon was expected of him. His mother was deteriorating in front of his eyes, an only child. When someone does what he did, that’s almost sabotage of a career…. Tyler is an incredibly bright young man. He’s the type of person who could own things, run things. But in terms of an author writing a credible account, I felt that I had to tell the whole story. Was his resignation shielded from Pat? Maybe she was aware, but would that stay with her? No. Conversations with someone with Alzheimer’s are literally like Groundhog Day. What are some things that people will learn about Pat Summitt that they didn’t know? I think the national narrative is of Pat the proper Southern woman and that was fine, but she had a biting wit and she enjoyed the media. She’d come over and talk to us. She was so engaging. So warm. She really cared about people. I remember a longtime beat writer had to have surgery for colon cancer and the team was at Stanford. She called from Palo Alto to reach him to see how the surgery went. She couldn’t get him in his room, so she called the nurses’ station and said ‘This is Pat Summitt. One of our reporters has had surgery and I can’t reach him. I want to know what’s wrong.’ This is the day before they went out and played Stanford, and she wanted to know if one of their reporters was OK. That’s her. I don’t know of many coaches who would be checking up on a reporter the night before a game with Stanford. She was just so warm and funny. Her relationship with (UConn coach) Geno Auriemma was of a different stripe. What do you think happened there? It was a fun, competitive series and also a respectful one. It started deteriorating in 2000 in Philly. There were pointed remarks about Pat by Geno that people said were Geno being Geno, but it went deeper than that, and Pat knew it. A lot of things got back to her. That’s not real bright. She knew the series was good for the game, but she had finally had enough. She did not feel the playing field was level. People begged her to bring the series back, but once she made up her mind, she was not going to change it. Pat respected him as a coach. That’s why the recruiting shenanigans bothered her so much. She knew lesser talented coaches cheated. She knew it. That’s the only way they could get recruits. But she didn’t expect it from a peer. She expected a level recruiting field from someone at his level, and she didn’t get it. One of the biggest disappointments of Pat’s final season was the failure to make it to the 2012 Final Four. Were people surprised that Baylor and Tennessee ended up in the same bracket (and had to face each other in the Elite Eight)? Baylor was a juggernaut. Nobody was going to beat Baylor that year. I don’t know if Tennessee would have made it in another bracket, but if you wanted to guarantee in 2012 that a team would not get into the Final Four, put them in Baylor’s bracket. I think it was tone deaf (on the selection committee’s part). More incompetent than intentional. When all is said and done, what do you want people to take away from this book? Maybe a better understanding of Pat. Why she did some of the things she did, why she coached the way she did. Of course, number one is to keep driving the research and funding for Alzheimer’s. With our aging population, this is a public health crisis, and it’s not being addressed at any level. So I hope it brings attention to that. It’s hard to tell anything new about Pat. But I hope it gives people a view of Pat that they haven’t seen. That chapter when she was crying on the phone (after the season ended)…. A lot of people have never seen her vulnerable. That was a tough conversation to have, to hear her voice so small and sad. Also an appreciation for her final team. I know they fell short of what they wanted. They wanted a Final Four for Pat, but the way that team endured, I hope the book shows how much they loved Pat, how much they fought for Pat. The Final Season is available now from the publisher for $29.95. 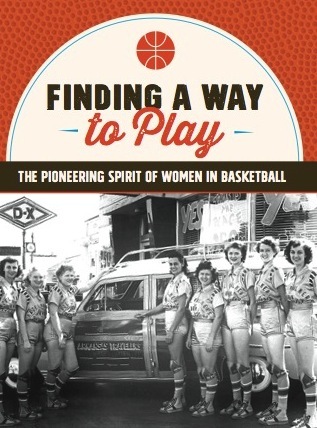 A portion of the proceeds will go to the Pat Summitt Foundation.